I gave PRIDE too much power. In fact, it was so powerful that I refer to it in ALL CAPS. PRIDE constantly reminded me that asking for help was a sign of weakness. So instead I quietly carried the weight of the issues that burdened me. 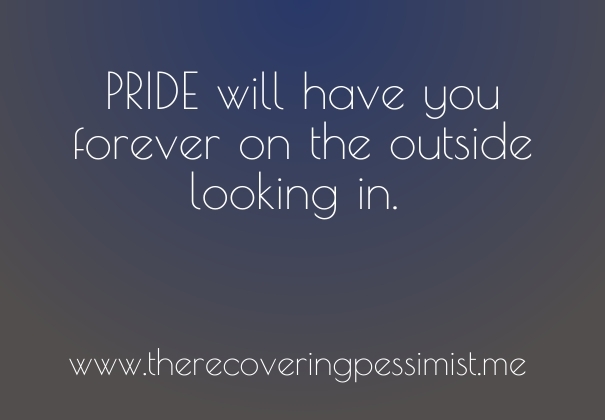 You can allow PRIDE to steer your life, but in the process, you’ll be on the outside looking in. Reclaim the power that PRIDE has taken from you and stop carrying the burdens alone. Ask for help. It’s there for a reason.